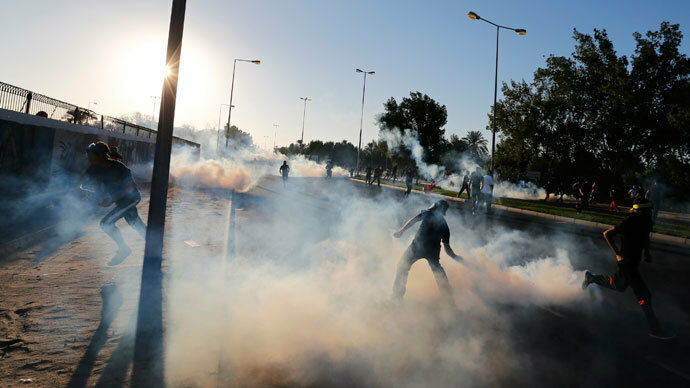 A report issued by a Bahraini human rights body says the country saw 745 protests in just December alone. The government’s reaction to dissent, according to the study, included arrests of 31 children, home raids and enforced disappearances. 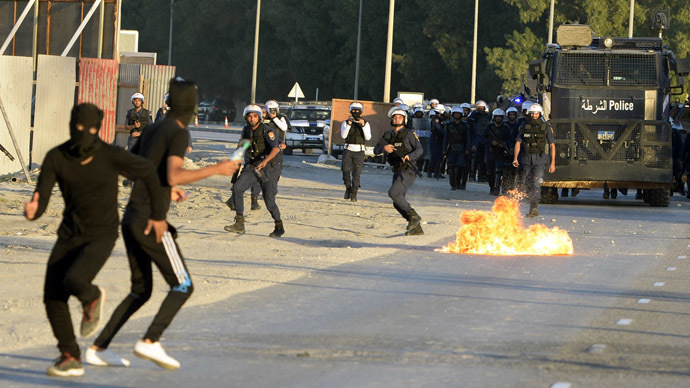 Out of the 745 “sporadic protests” recorded by the Liberties and Human Rights Department in Al Wefaq Society (Bahrain’s major opposition party), more than a half were suppressed by security forces, according to the organization’s report released Thursday. Crackdowns on protests were accompanied by arrests, with 183 rally participants ending up behind bars, including 31 children. The report recounts several stories of such arrests. One of them was told by a family of a 15-year-old boy. “He said he was threatened with a gun and taken to a nearby farm where he was severely beaten on his private parts, neck and face. He was also threatened that cigarettes would be burnt out on his body, [then] a policeman bit his ear. His cellphone was confiscated and he was thrown in a remote area,” the boy’s relatives told Al Wefaq. 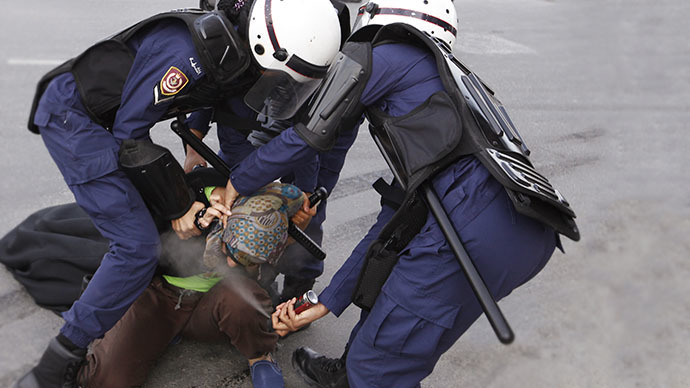 This was just one out of 17 cases of torture and maltreatment recorded by Al Wefaq in December, with the organization complaining of the Bahraini officials’ refusal to receive the UN torture expert. Home raids are among the human rights violations the report focused on. It said security forces had raided 207 homes without legal warrants or judicial permission. 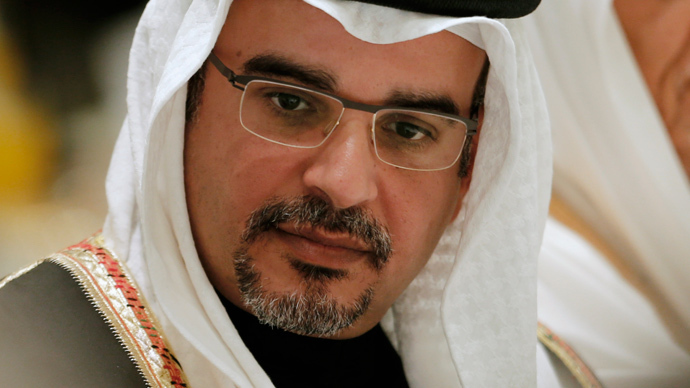 The raids have long been a concern for human rights groups, with the Bahraini Independent Commission of Inquiry (BICI) report, issued in November 2011, saying those were carried out in a "terror-inspiring" manner. The LHRD report argues enforced disappearance have been practiced by security forces “for over three years,” with families often staying uninformed for long periods of time of their members being taken into custody. "If the authorities were undertaking legal measures, they would not hide any information about the detainees,” said Sayed Hadi Al Musawi, LHRD’s head at a Tuesday press conference. “All detainees' families have not known about their sons' whereabouts for over 6 days since they were arrested, who is responsible for this dangerous behavior?" The human rights group says the only way to know what happened to learn more of the detainees who disappeared is to act through the Red Cross. The humanitarian organization then contacts the authorities in Bahrain, which “in respect to the Red Cross” sheds light on the disappeared detainees’ whereabouts. The report also spoke of violations of religious freedom and freedom of expression. It mentioned December’s detention of the leader of Bahrain’s main Shia opposition group Al-Wefaq. 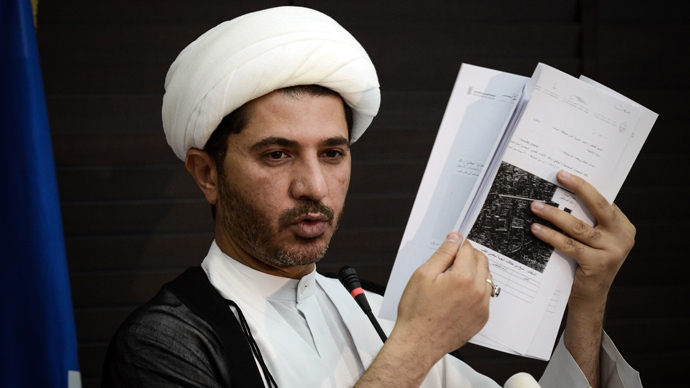 Sheik Ali Salman was detained over comments made during a religious sermon and was released after being interrogated for five hours.